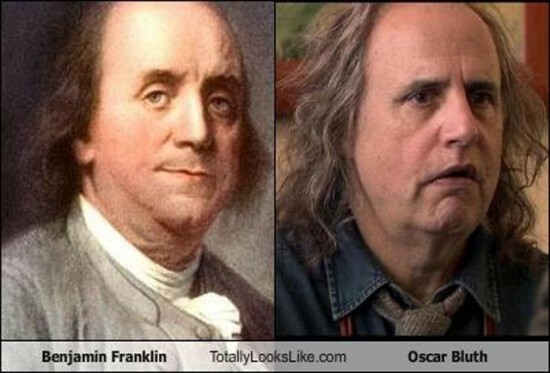 "Celebrity" Look-alikes: Ben Franklin and Oscar Bluth. So I was perusing this long orodha of supposed look-alikes, some good, some not so good, and then I came across this one and it cracked me up. Hah :]. Wallpaper and background images in the Arrested Development club tagged: arrested development oscar.